The newest equipment from John Deere comes to farmers with some technology components that are now standard, making it easier for growers to collect, analyze and use available data. Mishler said farmers can then share that data with a crop consultant or ag retailer or anyone who helps them make decisions for their farm. He encouraged farmers considering expanding technology within their operations to go to a local dealership and ask questions or request a demonstration. 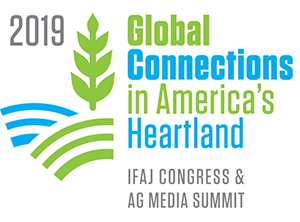 Mishler participated in Trade Talk at the 2018 National Association of Farm Broadcasting Convention in Kansas City.